Hans Noordsij brought the Tesla Model S because he loves the gadgets and technology within the car. Tesla Motors CEO Elon Musk is also the CEO of SpaceX (Space Exploration Technologies Corporation) which builds space rockets, so you can imagine the insane technology within these Telsa cars. One feature that was released recently has the potential to save lives. The feature which is no replacement for human braking or awareness, but it will automatically brake the car for you when there is a 99.99% chance of a collision. 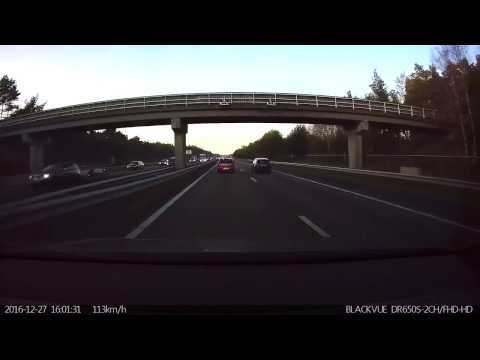 Watch as Hans’s Telsa car predicts a crash in the distance and his cars collision avoidance system chimes and brings the car to a safe standstill.